Do it now. To quote Hemingway quoting John Donne, “Do not ask for whom the bell tolls, it tolls for thee”. Solicitor responsible for wills at Stonehewer Moss made his first will after going into a spin following a blow out on the M6 in his early 30s. Not only can you die unexpectedly but you can lose the mental capacity to make a valid will. Wills professionally made for you are cheap compared to the cost of dealing with statutory wills through the Court for those who have lost capacity. Family disputes were there is no will cannot be valued. Ensure the will revokes any earlier will if that is your intention. Ensure the will deals with all your estate as anything not covered will fall to be distributed upon intestacy rules being applied, possibly to people you do not want to benefit. Appoint a reliable executor willing to take on the burden. Follow s9 of the Wills Act when signing the will as it will be invalid if not done correctly, the most common reason for a will prepared without a solicitor being refused probate. Think ahead. what if a beneficiary pre-deceases you or your estate increases in value to a point 40% has to be paid in inheritance tax? The Court can be asked to make provision to someone you have not provided for by will once you die. This may cause your executor a lot of stress. You can leave a letter with your will explaining why a person you foresee might make application to the court has been left out or does not receive as much as may be expected. Such letters need to be written with care as emotional content may not impress a judge and if it is simply wrong it will make the application easier rather than harder. Please do not be put off making the will. The court has had this jurisdiction since 1975 and applications are still rare. It is possible to provide in the will that anyone challenging the size of a gift will lose the gift provided for and therefore will have to win or receive no provision. If you would like to read a detailed factsheet about inheritance act claims written for those looking to challenge a will, please e mail or telephone me. Finally, please note that without a will the person most likely to challenge by this route will probably receive part of your estate as a matter of law anyway. A will is the best way to ensure your wishes are carried out. A will can be revoked, meaning it no longer is valid and may be replaced by another. 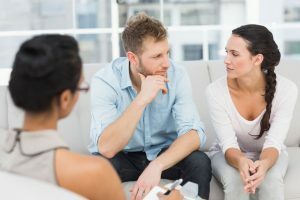 If you are making identical wills with your spouse it does not prevent the survivor of the two of you making a new will leaving the estate differently than the current will provides. It is possible to seek to prevent this from happening by preparing a mutual will trust agreement or an express trust. This does involve extra cost but please contact me if you want this to be done. 3.Wills only deal with death, not with what happens if you lose mental capacity. We can help you create a power of attorney to make someone responsible for your well being and to look after your finances if you lose mental capacity. They are called lasting powers of attorney. Please enquire about our factsheet for powers of attorney or telephone me to discuss. This article was added on Wednesday, February 3rd, 2016 at 10:17 am and is categorised under Cheshire News, Chester News, cohabitation disputes, Divorce, Family finances, Family Law, FAMILY PROVISION ON DEATH, General News, Lasting Powers of Attorney, Runcorn News, St Helens news, Warrington News, Widnes News, wills. Both comments and pings are currently closed. Error: Error validating access token: Session has expired on Saturday, 09-Mar-19 13:12:58 PST. The current time is Wednesday, 24-Apr-19 20:03:29 PDT.